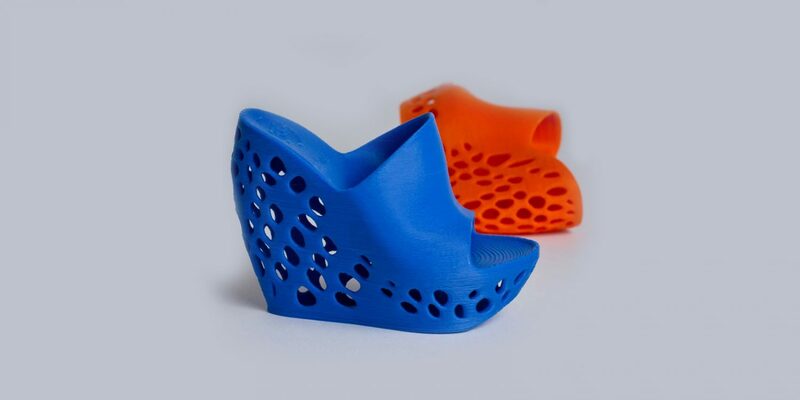 A few weeks ago I read an article on how Finnish designer, Janne Kyttanen, has created a collection of wedge heel shoes using only a 3D printer. Shoe addicts might rejoice thinking that they can just press print every time they need their favourite pair of heels in a new colour, but we’re still a long way off from seeing 3D printers being used in normal households. There’s a mixture of both excitement and cynicism surrounding this technology. Although it has been deemed not suitable for mass manufacturing and too expensive for general consumers, it’s hard not to be amazed by some of the things it has the capacity to create – printing human organs, for example, still sounds like something out of a science fiction movie to me. Marketing and PR companies should already be thinking about how they could utilise this new technology to help enhance campaigns. In the same way that televisions created a whole new platform for advertising and social media tools extended the way brands can engage with consumers, 3D printing opens up another completely new way of interacting with a targeted audience. Already retail units can buy chocolate 3D printers so that companies can make personalised chocolate sculptures for shoppers. Whether it’s creating chocolate replicas of your products to ‘sweeten’ up journalists, or impressing consumers with personalised treats, there are surely lots of fun stunts that could be generated with this. Using a normal 3D printer, you could raise awareness about a new show home or factory opening, for example, by creating mini replicas which could be sent to journalists. This would hopefully get them excited about the plans and encourage them to visit the site in person. If 3D printers become more widely used, blueprints could be sent to journalists so that they could print the product in their own office. Without knowing what the finished outcome would be, the product would form layer by layer in front of their eyes, adding an element of surprise to the campaign. Or, if you wanted to engage directly with consumers, you could run a competition asking them to come up with their own design that could then be replicated.